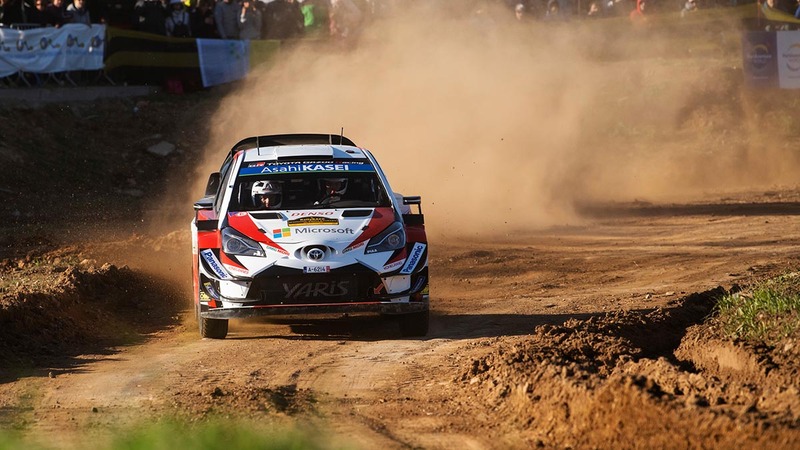 The outsider in a thrilling three-way FIA World Rally Championship battle promised an all-out attack in his efforts to close on series leader Thierry Neuville and second-placed Sébastien Ogier, and he did not disappoint. Tänak mastered slippery gravel tracks on Spain’s Costa Daurada to head Dani Sordo by 26.8sec in his Toyota Yaris. Home hero Sordo finished 2.9sec clear of Elfyn Evans in third. Importantly for the Estonian’s championship challenge, he distanced Ogier and points leader Neuville, who trailed in seventh and ninth respectively, with two days of the only mixed surface fixture remaining. Only once did Tänak finish outside the top three in seven speed tests, although he headed the timesheets just once. His consistent pace on roads which disadvantaged the title-chasing trio at the front and favoured the later starters as the grip improved, was impressive. “Nothing is done yet,” he said. “It was a tricky day. At the beginning of the afternoon the car was really good, but later I started to struggle, I don’t know why. I tried to do everything I could to stay on the road, I couldn’t do much more,” he said. Sordo, driving his first gravel rally since May, claimed one stage win in a Hyundai i20 and overhauled a disappointed Evans in the final stage. Half a second behind Evans’ Ford Fiesta in fourth was nine-time champion Sébastien Loeb. Competing in the last of his three-rally programme in a Citroën C3, the Frenchman struggled with understeer, but after curing the issues he charged up from ninth. Jari-Matti Latvala was Tänak’s biggest challenger. He was on course to relegate his team-mate and take the lead midway through this morning’s long La Fatarella - Vilalba test until a puncture cost almost 50sec and he plunged to 10th. The Finn won the final two stages, taking his tally to three, to climb to fifth. He headed Andreas Mikkelsen’s i20 by 1.5sec, with Ogier’s Fiesta a further three-tenths back. Neuville endured the worst of the slippery gravel as road opener and lost more seconds with an overshoot, ending almost a minute off the lead.